Following in from part one, here is the second part of the series Jamie Craggs authored about our ongoing captive coral reproduction project in the amazing Ultra Marine Magazine. This entry was posted in Coral Cam, Horniman Museum, Kickstarter, LEACS. 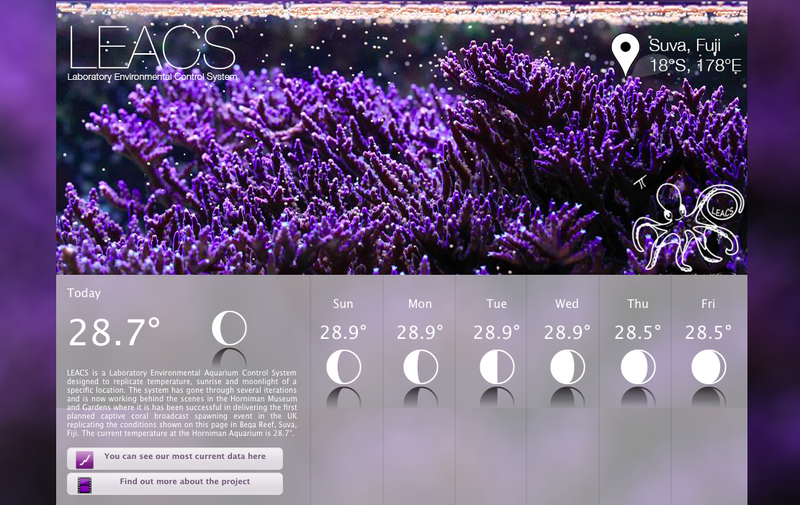 LEACS is a Laboratory Environmental Aquarium Control System designed to replicate temperature, sunrise and moonlight of a specific location. This version uses the new Gertduino and Solid State relays to handle the continual clicking on and off of the heating/cooling for greater accuracy. This entry was posted in Horniman Museum, LEACS, Micro Electronics. 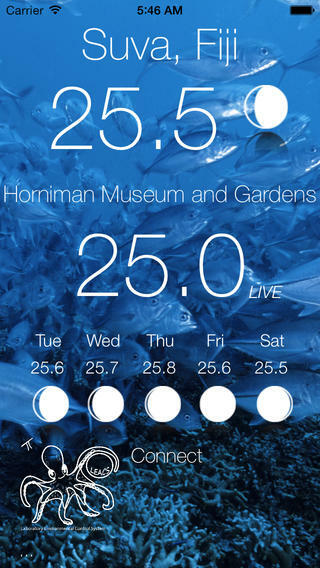 Back in September we hosted our very own Hackathon at the Horniman Museum and Gardens with the task of building a temperature and lighting control system called LEACS (Laboratory Environmental Aquarium Control System) that would replicate Sunlight, Moonlight and temperature from Fiji in the hope the environmental conditions would induce the spawning of corals in captivity to get a greater understanding of the biology and work towards the conservation of these threatened coral environments. It’s basically a Ocean Simulator for aquariums. Well since the hackathon we’ve learnt a lot and with all systems they grow, develop and mature that’s led us to LEACS V2 and us adopting the GertDuino board as part of the solution. We’ll post some details of the hardware shortly but we’ve also been working on a website to that’s in the beta stage at the moment but we hope to share project updates and the current environmental data we are using. So please have a look at www.LEACS.net and bookmark it to stay up to date. In addition we’ve also developed an iPhone app we hope to expand out to share project updates and check on environmental data when your board! You can download it here. This entry was posted in Development Work, iPhone & iPad Development, LEACS, Micro Electronics.